For beer aficionados, there&apos;s no bigger event all year. The annual Great American Beer Festival® (GABF®) returns to Denver&apos;s Colorado Convention Center each October. The granddaddy of all U.S. beer festivals offers the largest collection of U.S. beer ever assembled, all served in single-ounce tasting portions. Produced by the Brewers Association, the 2019 Great American Beer Festival® will take place Oct. 3–5. The event was founded in 1982, and has been growing and evolving along with the American craft brewing industry ever since. GABF® was voted the No.1 beer festival in the country by 10Best and is listed as one of the top 1,000 places in the U.S. to visit before you die. GABF® seems to get more massive each year, with the 2018 event attracting 62,000 attendees to the Colorado Convention Center to sample 4,000 beers from 800 U.S. breweries. A highlight of the festival is that many of the beers are served by their brewers, giving attendees a chance to meet some of the country&apos;s biggest beer heroes. The festival also features two competitions: the general competition, in which a professional judging panel evaluates all entries during five three-hour sessions over the three-day period and the other a Pro-Am Competition, in which commercial craft brewers submit beers created from award-winning homebrew recipes from American Homebrewers Association (AHA) members. Denver and the GABF® are a perfect match. Not only is The Mile High City home to the world&apos;s largest single brewery (Coors Brewery), but it also has the nation&apos;s largest brewpub (Wynkoop Brewing Company) and the highest number of home brewers. Whether you are attending this year&apos;s Great American Beer Festival® or not, the event coincides with Denver Beer Week (Sept. 27–Oct. 5, 2019). 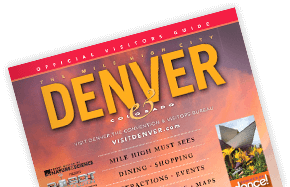 That means there are plenty of events for beer lovers to enjoy throughout the city, including beer tastings at local Denver restaurants, beer-paired dinners, "meet the brewer" nights, beer tappings, brewery tours and a variety of entertaining beer events.